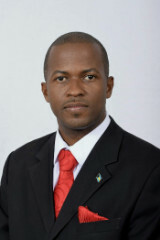 I want to start off by saying that I want to take this time to wish the Bahamian people, my fellow Hon. Senators here in this upper chamber and also the MPs representing the lower chamber, a very, very happy new year. Serving as a Hon. Senator I am truly honored. I take this opportunity to serve my Bahamian people very seriously and truly a humbling experience. I want to wish everyone in our Bahama land a very safe and prosperous new year. Proverbs 25:14 A person who promises a gift but doesnt give it is like clouds and wind that bring no rain.